supplying growers across North America. Use of Biological Control is a strong step forward in reducing pesticides, insecticides and other chemical-based deterrents that is harmful to both plant and human health. Biological Control is a natural, environmentally-friendly alternative to maintaing a healthy ecosystem of organisms in your greenhouse. We have highly-trained professionals in IPM for use in biological control in a greenhouse context. Please contact us for a consultancy. A lure containing sexual attractants for monitoring your common greenhouse (flying) pests. During low light and low temperature periods, pests may become very inactive. These lures aim at increasing this activity to improve the efficiency of monitoring. We have a large array of available lures to monitor a diverse range of pests. Some pheromone lures may also be used to improve the efficacy of spraying. Simply distribute the pheromone in the greenhouse atmosphere (ie. via greenhouse fans) prior to spraying. This will evoke the pests and cause them to become more active, thus increasing their susceptibility with the spray. Lures are often used in conjuction with sticky or delta traps. Generally used in conjuction with pheromone lures. 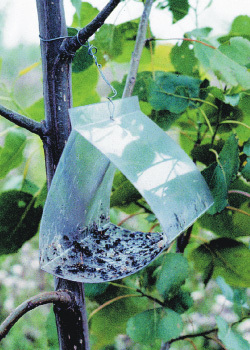 These triangular (delta) traps are used to monitor specific pests based on the pheromone lure used. Allow at least 10 metres between traps and hang at foliage height where possible to ensure maximum effectiveness. Pheromone lures are best kept in the refrigerator or freezer in the tightly closed original packaging. Lures are guaranteed for 2 years when kept at (minus) -25°C and for 1 year when kept in the refrigerator. Allow the original packaging to acclimate to room temperature before opening to prevent condensation. The white vials must be hung closed in place. The (red) rubber lures may be pierced at the edges without hampering the potency of the lures. Wash your hands before and after working with pheromone lures in order to prevent contamination. This is vitally important when working with lures for different species. Do not use traps (see below) for different species. Lures be disposed of together with the normal household rubbish. 1: adapted from Pherobank knowledgebase. Alsa is a natural crop protection product on the basis of odour and taste compounds derived from garlic. These compounds — effective against harmful insects such as thrips, aphid, sciara, taxus weevil, etc. — are present in garlic where they are dissolved in oil. When Alsa is applied, the scent and flavour of your plant change in such a way that insects no longer find it attractive. The insects become restless and leave their hiding-place. Natural predators can now be used much more effectively in the fight against pests. Moreover, preventative use of Alsa allows a substancial decrease in the frequency of chemical spraying; ensuring your crop remains in healthier condition. Alsa remains active in the plant for about 7 to 10 days. After this active period, the compounds are transformed within the plant which are recycled and used in natural metabolisation cycles. Thus, weekly doses of Alsa are recommended. Modicell is a liquid, natural enzyme preparation comprising of fifteen different enzymes. These enzymes ensure that root residues in an artificial substrate are broken down rapidly. The rapid decomposition prevents old roots from accumulating and rotting — giving disease-causing agents less of a chance. In addition to enzymes, Modicell also contains vitamins that promote root growth and increase the absorption capacity of the roots. A bio-stimulant made up of micro organisms, trace elements and natural acids suspended in carbon solution (humic acid). It is formulated to promote and protect root zones. NB: Field trials on Humika™ were run by a third party, and not Global Horticultural or Alpha Agri-Product. Based on humic acid, fulvic acid and trace elements, Humika™ is a source of fertilizer as well as a nutrient transporter into plant roots. It strengthens cell membranes, increases microbial activity and decreases immune response time. 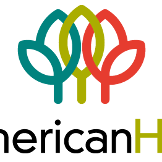 Humika™ has a proven track record in many field crops increasing yield response1 by 10 percent. Natural plant oils, plant hormones, citronella and pyrethrins are combined to give foliar protection during the growing season. Plant Guard™ is environmentally-friendly, and can be used numerous times on the crop. Plant Guard™ may or may not be harmful to both beneficial and non-beneficial insects. Clean-Leaf will keep your leaves fresh and green throughout the growing season. It works by covering the leaf surface with a thin layer of paraffinic oil (with a small amount of nitrogen) for successful leaf protection against the elements. As the name suggests, ocean minerals are harvested to enhance the taste of fruits or vegetables grown hydroponically or commercially as well as to create healthier crops. These minerals are not found in commercial fertilizers or in many soils. Great product to combat the infiltration of pests into the greenhouse. Install around vents or windows, or any other exposed area in the greenhouse. Comes in a variety of sizes and lengths. Different perforations are available for varying insects. A lightweight magnifying glass which folds up compact. Great to use when monitoring your sticky cards to identify your pests more clearly. 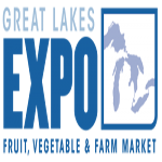 The EXPO is the premiere show for Fruit and Vegetable Growers, Greenhouse Growers and Farm Marketers! 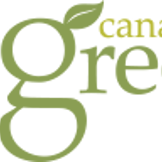 Located at the Scotiabank Convention Centre in exciting Niagara Falls, Canada, the CGC offers two days of informative, motivating sessions and a large trade show with over 300 booth spaces. 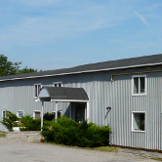 Visit us at the location we have called home for the past 25+ years!